Many current science curricula and standards address the control-of-variables strategy (CVS). For example, the Next Generation of Science Standards mention CVS-related science and engineering practices like designing fair tests and interpreting evidence generated from controlled experiments at every grade level from kindergarten through grade 12. The National Research Council’s Framework for K-12 Science Education proposes that even kindergarten students should be able to “plan and carry-out investigations […] based on fair tests” (NRC, 2012, p. 5), that middle school students should “identify independent and dependent variables and controls” (p. 55) and that high-school students should “construct and revise explanations based on valid and reliable evidence […] including students’ own investigations” (p. 75). An additional reason for the prominence of CVS in science curricula is the increasing role of inquiry-based learning in science education. Mastery of CVS is required for successful inquiry learning as it enables students to conduct their own informative investigations. Furthermore, the logical aspects of CVS are relevant for argumentation and reasoning about causality in science and everyday life, as CVS includes an understanding of the invalidity of evidence from confounded experiments (or observations) and the importance of comparing controlled conditions. Taken together, CVS is crucial for developing scientific literacy and is relevant to broader educational and societal goals, such as inquiry, reasoning skills, and critical thinking. You can find teaching materials to introduce CVS to middle school students here. 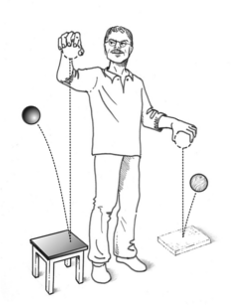 There are English and German versions and versions with and without hands-on activities. The materials are ready to download and use. A little quiz about controlling variables on kahoot.it. You can play it with your students on their mobile devices. It is only available on German. 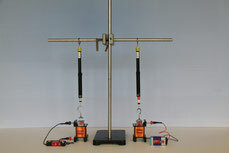 In this CVS training tasks students can plan and interpret experiments on the effects of number of coils (500 vs. 1000), core material (iron vs. aluminum; task 2) and current (9V vs. 1.5V; task 3) on the electromagnetic force. The work sheets include note space and reflective questions to prompt students’ thinking to CVS. This CVS hands-on training asks students to investigate the impact of wire length, diameter and material on resistance. See here for more information about the materials (German only).